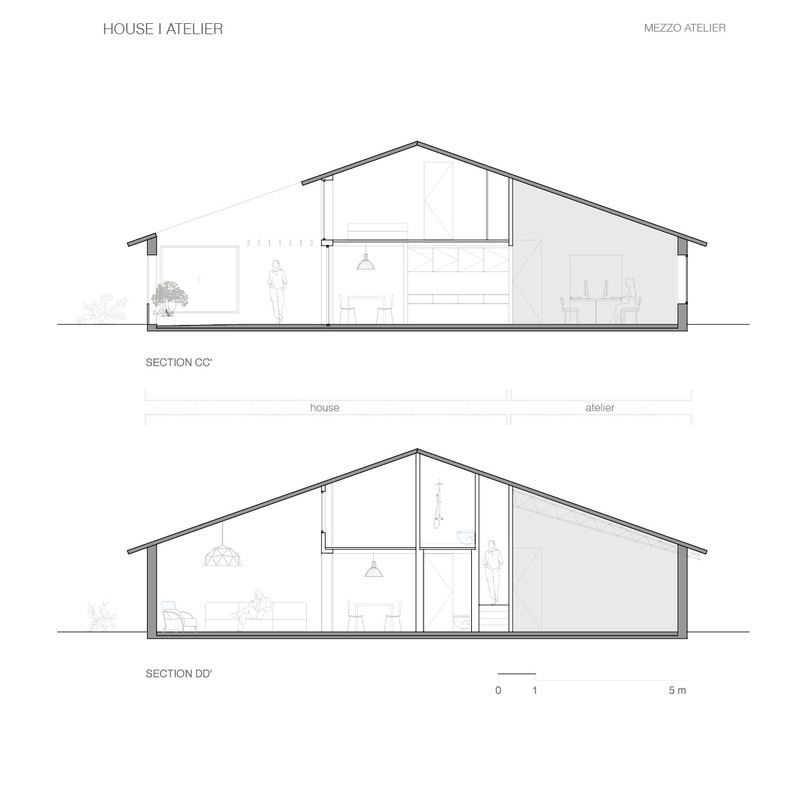 The project, located in the country side of Piacenza, in the north of Italy, is an adaptation of an old industrial henhouse into a flexible working and living space which could be transformed easily in the future according with the owners needs. The two empty spaces, with 110 m2 each, are just a part of the long building which now contains several functions, from housing to warehouses. One of the spaces is left practically empty to hold the office’s workshop, while the other joins the working area with the house. The spaces are divided throughout a central cube holding service areas and the staircase, from which sliding doors run to open or enclose the different parts of the program. The central area, with lower height, holds the upper level with 2 bedrooms and bathroom. The entrance and office space, with high ceiling, looks into an interior façade making the separation between the working and living areas. While open, the wooden sliding doors turns them into a continuous big room. 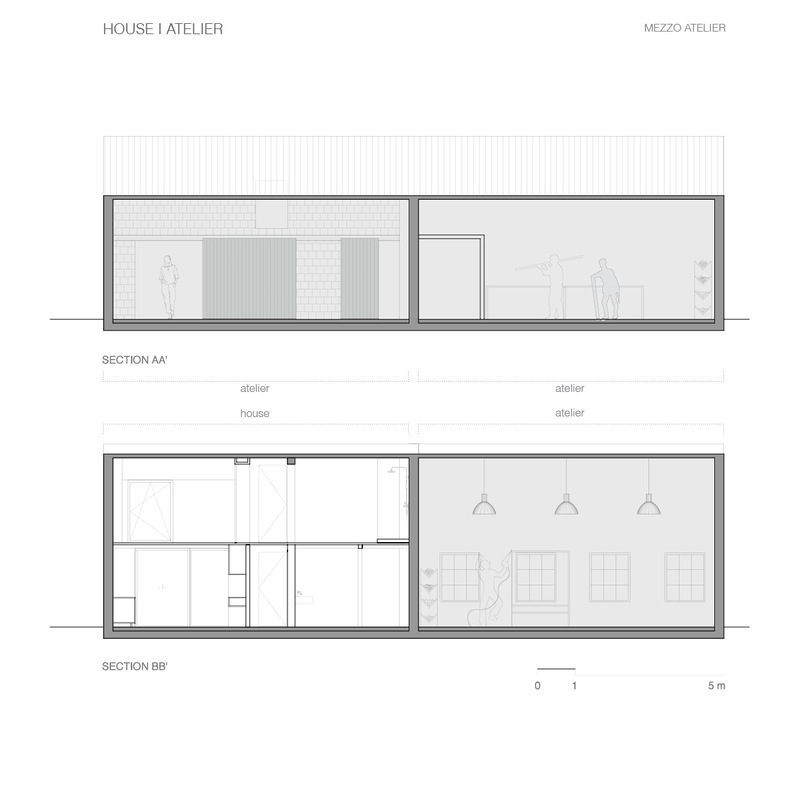 A part of the existing roof is removed to give place to a patio which brings light and the country side atmosphere into the interior spaces, and generates cross views between rooms. The industrial character of the building is kept and reinforced with the steel structure for the middle block and also with low cost solutions as the new walls raw finishes and the concrete floor. Wooden furnishings and doors add warmth to the interiors.